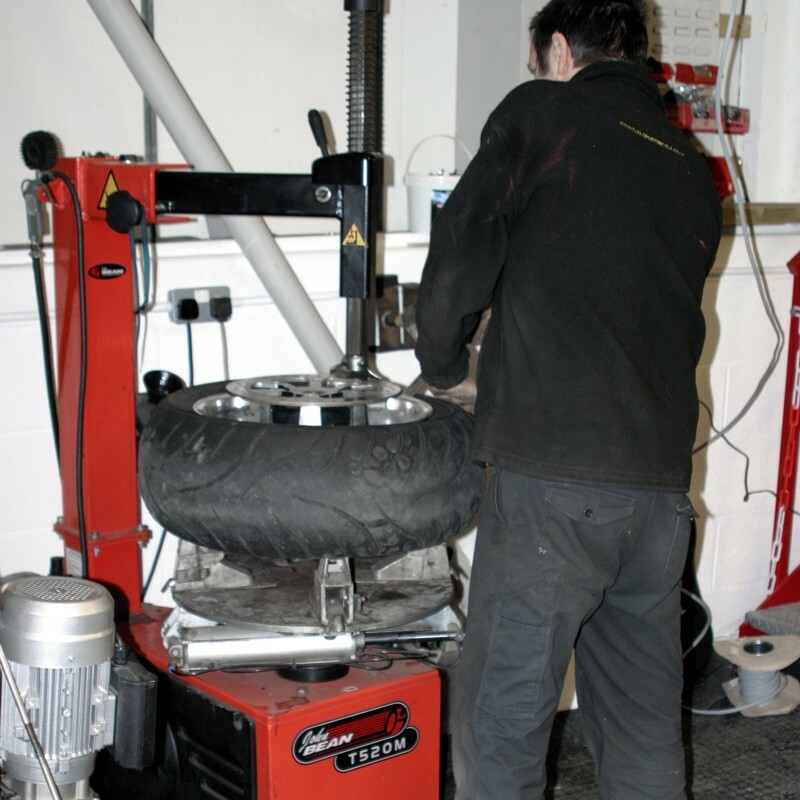 Bob (formerly of Buckley Tyres) is a life long motorcycle enthusiast, respected amongst the motorcycle community as a highly skilled and experienced motorcycle tyre fitter and is extremely knowledgeable in all aspects of motorcycle tyres. 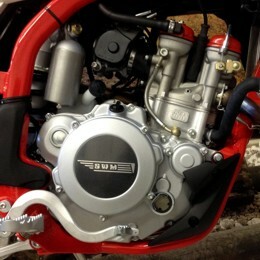 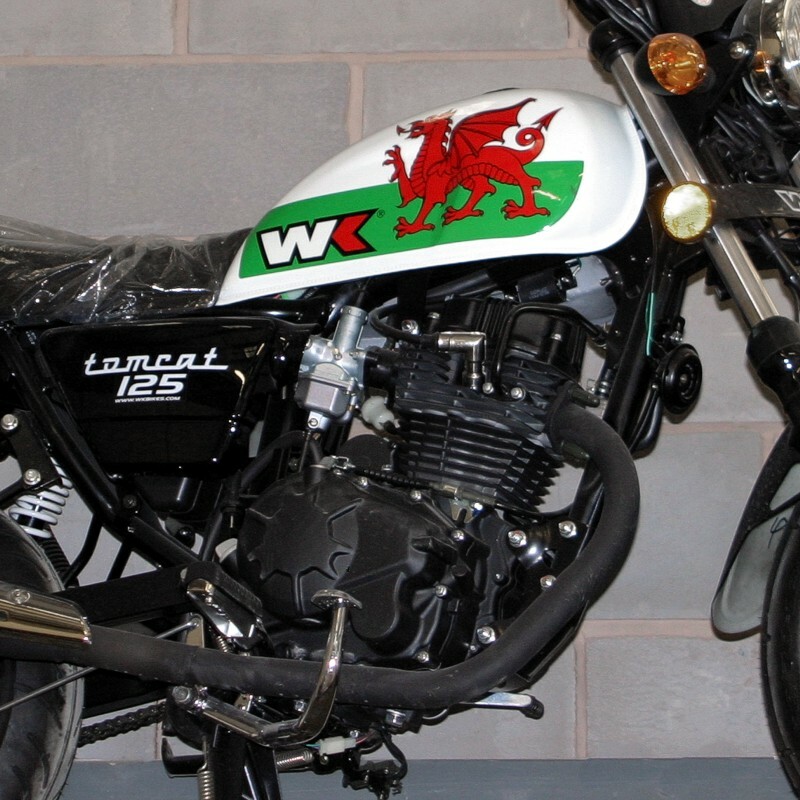 This dedication and enthusiasm, coupled with access to the very latest developments from leading motorcycle tyre manufacturers means that you can always be assured of the very best advice and service available. 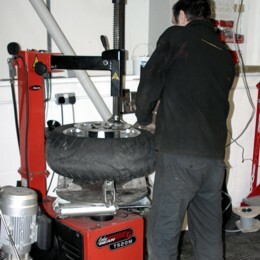 Bob's new purpose-fitted workshop is equipped with the latest paddock stands for wheel removal, including ABBA stands for the removal of wheels from single sided swing arm models such as the Ducati 996 and T959 etc, also including the installation of a new motorcycle wheel balancer - offering a choice of either static or dynamic balance. 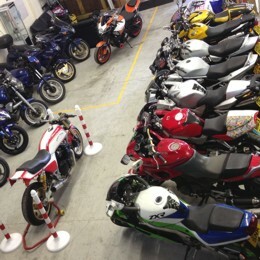 Our specialist 'Ride in - Ride out' facility revolutionises the tyre replacement service for motorcycle owners. We have a real understanding of the needs of bike enthusiasts and as such our aim is to continue to offer ground breaking services and by constantly updating our workshop with the very latest tyre fitting equipment, we can ensure that we are providing the safest and most effective means possible of removing tyres, without damage to tyre rims. We stock an excellent selection of leading brand tyres to fit the vast majority of motorcycles, trikes, mopeds and scooters - both modern and classic.